Evolution Salon in Winslow, Maine, is proud to offer a variety of beauty services, including manicures and pedicures, hair care, and styling. 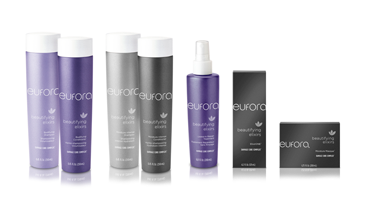 Our stylists all participate in continuing education through Eufora™ International to stay up to date with the latest cut and style trends. Single- and double-process color treatments are available, and we also offer foils, highlights, glossing, and texture with foil. Straightening is provided for those who want to tame overly curly hair, and we also offer waves and perms when your 'do needs a little extra volume. Pure™ hair extensions are used, which are a safe alternative to traditional hair extensions. Pure extensions are applied without glue, heat, or tape. In addition to quality hair care options, we are proud to offer a vast array of nail services, including manicures and pedicures. We use OPI® products and will be happy to help you pamper your hands and feet. Waxing is also available.